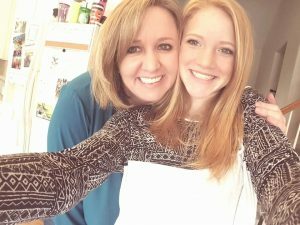 Should You Force Your Teenager to Attend Church with the Family? Hi, I have been using the parenting strategies since July. Things were going well, and my son even earned the privilege of a driving permit in October, which would allow him to take his driving test to have a driver's license. If he had stayed on track, he would have had his driver's test scheduled in November. However, within 1 week of earning the driving permit, he began to become rebellious again, argumentative, and sloppy or forgetful about his chores. I asked him what was bothering him, but he refused to say; he only had insults for me. "Should I tell him that I'm not his biological father?" I have a question for you. I have a 14 year old step son who does not know that I am not his biological father. His mother and I have been separated for 9 years. I get him and his brother, who is my biological son, three times a week. I have had this visitation arrangement with their mother for the entire 9 years. I met the boy when he was 8 months old, and he really has no idea I am not his biological father. That said, the boy treats me with no respect, gets into trouble and generally makes the time I have with him and his brother a nightmare. I could go on, but I am sure you can imagine what I have been going through. My question-- Should I tell him that I am not his biological father? I really want to tell him because I do not think he appreciates exactly how good I have been to him. I spend a lot of time being angry at him and I think if he knew the real situation he might have a little more gratitude. Please let me know what your professional opinion is. Thank you so much for your help and your program. Yes! You should definitely tell him, but out of a sense of keeping the relationship on an honest level – not out of a need to apply your own hidden agenda (e.g., to lay a guilt-trip on him for how he has been treating you). Also, break the news to him at a time when things are calm – not after a heated argument or during conflict. For all intents and purposes, he is your son – and as such, you should use all the disciplinary strategies in the eBook exactly as they are outlined. Some stepparents try to deal with the daunting task of being stepdad by taking the approach of "I won't interfere with your life." Unfortunately, this approach says to the stepchild: "I don't care that much about what happens to you." Stepchildren may resist involvement, but they will benefit far more -- and form a better relationship -- with an involved stepparent who applies both nurturing and discipline. Give your stepson the gift of limits. Children need limits for healthy development. If they don't learn in the home that there are limits on their behavior, they'll have a harder time functioning in the outside world. If they resist limits -- and they will -- it will be easier for you to deal with it if you remind yourself that children do the same thing with their biological parents. Use clear and explicit rules to establish limits. "You never told me that" may be a legitimate objection when you try to punish a child for breaking a limit. Limits should be clear, consistent, and invariably enforced. And there should be clearly understood consequences for following or disobeying them. Don't overwhelm your stepchildren with rules, but have enough of them to create a moral order in your home. Let stepchildren participate in making the rules. Have regular family meetings. Use them for sharing positive experiences, openly airing grievances and concerns, and formulating rules. Children should not have the final say in establishing each rule. But they should know that they have been heard. It's a basic principle that people are much more likely to conform when they have participated in the decision-making process. Encourage openness about feelings. "I hate you. You're not my father." It's tempting to reprove the child and forbid such language. But that teaches stepchildren to suppress their feelings. Instead, tell the child why this kind of statement hurts and how it makes you feel. Then explore with the child why he feels this way, reminding him that you still want to be his father. Be honest with your stepchildren about your own feelings, and encourage them to be honest about theirs. Plan special times and experiences with your stepson. Shared experiences build intimacy. Spend time alone with him. Do something that the child considers special (e.g., going hunting or fishing). Maintain your sense of humor. Humor helps keep matters in perspective. It helps relieve tension. It builds intimacy when you laugh with someone else. Sometimes you can use humor to resolve a problem with a stepchild. Humor won't cure all problems, but a lack of humor can kill the relationship. Other than these items above, use the techniques outlined in the eBook. Hi Mark, We bought my out of control teen for our problem teen, H___ aged 16 (with undiagnosed emotional problems) and have found the tools very helpful, however we are at a loss to know how to deal with her runaway episodes which she does when she receives a consequence. She ran away late one night in bare feet and walked all the way to her dad's house 7& 1/2 kms away, (he was convicted with 18 charges of violence against me) she hadn't seen him for 10 years...and it turned out to be a bad experience...then went and stayed at a friend’s. As she told us she wasn't coming home but was planning to move out which she can legally do at the age of 16, which she is now. I just told her how her choice to move out would affect her...we wouldn't support her financially...she would have to arrange all that herself and stayed in constant contact with her. We have contacted the police and they have said unless she is considered at risk (ie mental health issues which she does have) they do not have the power to go and bring her home. I managed to persuade her through much carefully thinking and talking to come home and return to school which she wanted to drop out of. She did work experience during the holidays that I took her to and now school has started she became very wound up and yelled at and gave me mouth for half an hour when she was reminded of a job she was required to do. She went to school Monday and never came home...I believe she has gone to a friends...and I don't know what to do....I replied to her text on someone else’s phone but have not heard back from her. By running away when she is given a consequence (this has gone on for 2 & 1/2 years) she avoids all responsibility and accountability and I renders useless any discipline program. What can I do about this as our Australian laws as we have signed the convention on the rights of the child have taken away parental rights? How can I approach this problem for her benefit? We as parents want to model for our children HOW THE "REAL WORLD" OPERATES. In the real world, one has to follow certain rules (e.g., obey the speed limit). In the real world, when someone breaks the rules, there is a consequence (e.g., a speeding ticket). 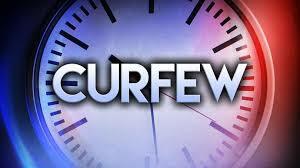 ...there is usually a much stiffer consequence to follow (e.g., lose of driving privileges). Thus, you will do more harm than good by (a) pleading and begging her to come home/return to school and (b) tip-toeing around her in fear of issuing any consequences that may result in her running off. As long as you take ownership of her "running" and "avoiding" -- then she does not have to take on any responsibility (you are taking it all). As soon as she realizes that HER PROBLEM IS HER PROBLEM (i.e., where she lives and whether or not she goes to school is HER responsibility), then she will begin to make some better choices. Tell her she is always welcome to come home, but there will be rules as well as consequences for violating the rules. Then say, "You decide where you want to live. Take all the time you need." I sent her an email explaining the consequences of her choice to run away (which were increasing in severity the longer she stayed away). They involved confiscating all her important stuff and selling it should she not return home, and giving the money to her sister who she owed money to. 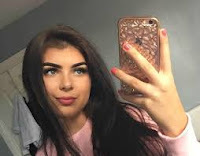 I would call her 'safe house' (which we had no details of without lots of investigation) and inform them of what we were going to do, and that she was under my legal guardianship, I would call CATT and CAHMS, adolescent and mental health teams, I would report her as a missing person to the police. I gave her a time limit when they would begin. If she wasn't home by 8pm I would begin to implement my plan. Then I told her what would happen if another day went by....I would put up missing person posters of her around all her favourite haunts asking people for information. And I would sell her horse and cancel his agistment, and warned of daily consequences increasing in severity. She was on the phone to me quick smart to say she was coming home before 8 but she couldn't find money for a bus fare, then rang to say there weren't many buses, then she rang to ask if I could pick her up. Your right. Reading her the riot act and telling her the consequences made it her problem not mine and she became very anxious to avoid them. Thank you so much, she came home a very compliant and subdued and obedient kid. Hi Mark, During the last few weeks me and my husband have been following (as much as we can) your program. Thank you for making it available on line. We have a fourteen year old daughter and an eight year old son. Our daughter is very well described in your lectures. I recognised that my overindulging approach and the fact that in the past me and my husband had different opinions on her parenting and also the fact that she is very strong willed person led to her behaviour problems. We are trying really hard to keep being firm and give her the consequences of her bad choices. Meanwhile we encourage all the small positive steps that she does. What can we do to make sure we keep the behavioral changes from her moving in the right direction and help her to be a productive adult? Thank you for your support. ~ M.
RE: "What can we do to make sure we keep the behavioral changes from her moving in the right direction and help her to be a productive adult?" In a nutshell, foster the development of self-reliance in your daughter. As a parent, you want to do everything for your child, but you have to realize that sooner or later, she must do things on her own. Young people have to learn about how to earn their own money, how to manage it, and how to make smart financial decisions with it. The longer you keep on handing everything to your children, the harder it will be for them to learn these crucial life skills and lessons on their own and that will severely backfire on them in their adult life. People whose parents didn’t provide them with everything usually appreciate the things they have more. They have to work hard in order to get those things they need on their own, which usually makes them more financially responsible, more responsible in general, harder workers, etc. I'm not saying that ALL people whose parents didn’t provide them with everything will turn out like that -- nor am I saying that those people whose parents provided them with everything cannot also garner those same qualities. Don’t spend any time or energy worrying about trying to be “the good guy.” You are not a “buddy.” Your job is to help your daughter foster the development of “self-reliance.” So, in that sense, you are her coach. "She hit me called me bad names and was out of control..."
I just purchased your program today. I am going to try and make this brief. My daughter has been with father for the last 4 months we have 50/50 custody. Recently she has talked about moving back and going to her old school. We had a blow out the other day because of a pierced lip that her father allowed her to get knowing this is not allowed in my house. I would also not get her a dress that night. She hit me called me bad names and was out of control. I called her father and said I would be picking her up Sunday night and am going back to 50/50 custody because of how she felt I have no control over her behavior. My problem is this program takes about 4 weeks and this Sunday is days away. My question is should I not pick her up and let her stay with her father if that is what she so desires and explain I love her and this would be her choice to live with her father instead of being with me and the rules at our house. Or should I pick her up Sunday night and really try to get through this program while she is here week on week off? Because I have no have time to go through the program I don't know what would be best. Having said this, I think it would be good for you and your daughter to have a time-out from one another. Take advantage of the opportunity to get a break (albeit a short one). Re: Will keeping the screws on him keep making the situation worse or will it eventually break him? First of all, we're not in the business of "breaking" children. This implies a power struggle with one winner and one loser. Rather, we're in the business of fostering the development of self-reliance. It sounds like you are in a power struggle here. 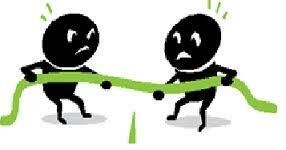 Power struggles create distance and hostility instead of closeness and trust. Distance and hostility create resentment, resistance, rebellion (or compliance with lowered self-esteem). IT TAKES TWO TO CREATE A POWER STRUGGLE. I have never seen a power-drunk child without a power-drunk adult real close by. Adults need to remove themselves from the power struggle without winning or giving in. Create a win/win environment. HOW? The following suggestions teach kids important life skills including self-discipline, responsibility, cooperation and problem-solving skills instead of "approval junkie" compliance -- or rebellion. 2. BONUS: HUGS! HUGS! HUGS! A hug is often enough to change the behavior -- theirs and yours. 3. Create a game: Beat the clock or sing songs while getting chores done. 5. Distraction for kids and lots of supervision. Punishment decreases brain development. Kids are often punished for doing what they are developmentally programmed to do -- explore. 6. Do it WITH them. You may even want to go to the positive time out area with them. 7. KINDNESS AND FIRMNESS AT THE SAME TIME. 9. Get kids involved in the creation of routines (morning, chores, and bedtime). Then the routine chart becomes the boss. 10. Limited choices: Do you want to do your homework before dinner or after dinner. Do you want to set the table or clean up after dinner? 11. Make a "Wheel of Choice" together. Draw a big circle and divide into wedges. Brainstorm lots of solutions to problems. Draw illustrations for each solution. During a conflict, invite child to pick something from the wheel. 12. No words: Use pantomime, charades, or notes. Try a hug to create closeness and trust -- then do something else. 13. Non-verbal signals. These should be planned in advance with the child. An empty plate turned over at the dinner table as a reminder of chores that need to be completed before dinner; a sheet over the television as a reminder that homework needs to be done first or that things need to be picked up in the common areas of the house. 14. Positive Time Out. Create a "nurturing" (not punitive) time out area with your child. 15. Put the problem on the family meeting agenda and let the kids brainstorm for a solution. 16. Use reflective listening. Stop talking and listen. Try to understand not only what your child is saying, but what he means. Every child needs discipline, and the discipline style can provide connection or disconnection in the relationship. 2. To protect the child. 3. To teach the child lifelong skills for good character, such as responsibility and self-control. As fair and consistent as possible. Be Proactive. Moms & dads find underlying causes of misbehavior as well as teach future desired behavior. Punishment tends to be reactive and aims to just stop behaviors. Discipline connects the parent and child in their relationship. Punishment disconnects them. Mutually respectful: "Do unto others as you would have done to you." Although moms & dads have far more experience and knowledge than their kids, both moms & dads and child have the same right of having their feelings and dignity equally respected. Never includes punishment. Common examples of punishment are grounding with no time-limit, unrelated consequences, spanking, and threats of any kind. Ninety percent prevention and ten percent correction. Teaches and guides kids how to think for themselves. It doesn't just force them to obey. The world is a different place than 30 years ago. We don't want our kids to just blindly obey anyone — especially adults that may not have their best interests in mind. We want them to think for themselves and make good decisions. Uses real world "cause and effect" learning experiences. • Power struggles are generally about meeting needs: the needs of the parent and the needs of the child. Both aim to get their way, but at the expense of the other person not getting their way. • Power struggles are often the result of the use of punishment. Kids will often react to punishment in the forms of rebellion, retaliation, fear, and/ or passive resistance. • When moms & dads and kids are locked in a power struggle, it is important for the parent to stay calm and let go for the moment. They have more experience in self-control and can switch gears easier. Refuse to participate. The time to re-examine the needs of the moms & dads and child causing the power struggle is later, when the emotional temperature in the relationship has gone down. Be sure to address it though. Don't let it go unresolved forever. Kids don't really misbehave. They act in inappropriate ways to get their needs met. The job of moms & dads is to meet those needs and teach kids how to get them met in socially appropriate ways. Kids are like icebergs. We see the tip of the iceberg (behavior) protruding out of the water. Most of the time, we don't even look at the massive ice part under the water (which are the needs and feelings) that supports the behavior. As moms & dads, we need to jump out of the boat, and into our submarine to look at what's happening with the child underneath the iceberg tip. Once the underlying needs and feelings of the child are recognized and addressed, the behavior often improves. The most effective discipline tools used for older, school-aged kids and teens are active listening, "I" messages, time in, changing the environment, modeling, related consequences, and problem solving. Family meetings are also especially effective for this age. A crucial discipline tool often overlooked is meeting the needs of moms & dads. Moms & dads who are hungry, tired, stressed, need support and a time-out don't often make their best parenting decisions. You can't raise a child in a dictatorship and expect them to function as an adult in a democracy. Moms and dads tend to see the adolescents as mini-adults. Prospective moms and dads often don't realize that parenting is a twenty-year plus commitment, demanding their best efforts even at those times when everyone is tired. 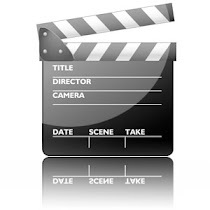 Acting with care is close to impossible in such everyday situations. Be proactive by learning to say no, use humor, carry out consequences, be honest, foster self-esteem, manage parental stress, and exercise parental leadership. Assertive communication is often avoided because moms and dads fear aggression, yet it usually prevents hostilities. Be Honest with Kids—Don't lie to a youngster or promise what isn't in your power to deliver. Telling a youngster that the sun will be shining for a picnic is folly at best, and can destroy your youngster's faith in your integrity. Promising that another youngster will like him or her is another dangerous parent trap, causing more distress in the long run. Being honest about life's struggles teaches kids to share feelings and deal with reality rather than deny or avoid it. Exercise Parental Leadership—Stand up courageously and be counted as a parent, not a buddy. Young people are in need of clear, positive leadership. They already have plenty of peers. Keep a journal of successes and challenges, and jot down strategies and solutions. Forgive yourself when you mess up. Visualize yourself as an assertive parent who can say no, use humor, calmly enforce consequences, be honest, encourage self-esteem, control parental stress, and exercise parental leadership. 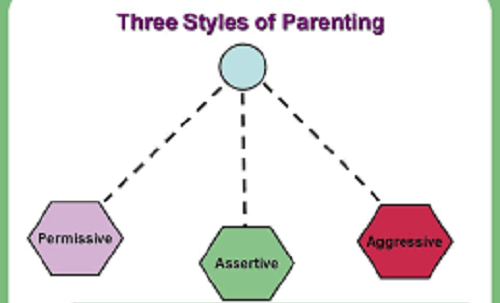 Assertive parenting can be both your finest joy and greatest challenge. Foster Self-Esteem—Even your choice of rewards can help guide your kids into the comfort of assertiveness. When kids learn to feel proud of themselves, they have gained a life-long skill. Say, "Pat yourself on the back" to foster self-confidence. Do that more often than giving gifts and treats. Have a Plan for Consequences—Think before speaking, and back up those words with firm, caring actions. Thinking through consequences can be done beforehand, when things are calm. Carrying out the consequences can be done in a matter of fact manner, expressing faith in the youngster's ability to come out ahead in the end. This allows the youngster to feel a sense of family as opposed to being at odds with the moms & dads. It's OK to Say No—It is sometimes believed that saying no too often can squelch a youngster's self-esteem, creativity, or confidence, yet the opposite is more often the case. There isn't any need for apology or guilt when "no" is needed. One of the most common pitfalls moms & dads suffer is inexactness of language. When one means for a youngster to do something direct by telling, not asking. Adults don't have to be mean, just clear. 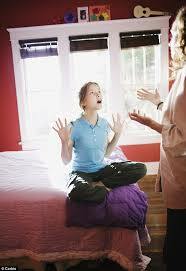 Manage Parental Stress—Do what you can to reduce stress by dealing with temper. Deal with your own feelings on a regular basis so you can keep an even disposition with kids. Keep the number of issues to be corrected close to one -- too many can cause confusion and frustration. Develop a poor memory for the bad times and a great memory for the good times. Structure Kid's Behavior—It is far better to tell a youngster clearly what is expected. Structure builds awareness and confidence in one's behavior. Teaching manners and social skills positions a youngster for social success and becoming an assertive adult. Use Humor—Remember to carry the emotional first-aid kit of humor at all times. It will help the whole family through the rough spots of daily life. Moms & dads can model the skill of not taking things too seriously. Educators suggest that modeling is one of the most effective methods of teaching. Mark, As a responsible, caring parent, I want my children to make responsible choices regarding alcohol use that are consistent with my beliefs and values. But it’s not a simple issue. We have alcohol in our home and with meals, but don’t want the kids to drink before they are adults. In the midst of these issues, our children see and hear numerous ads that promote alcohol. They may be curious, and—particularly as they grow older—face pressure from their peers to drink. How do you deal with this issue in a positive, healthy way? T. C.
By the time they graduate from high school, half of adolescents report consuming alcohol regularly. One-third report binge drinking. The greatest increase in alcohol usage occurs between grades 6 and 10. Good news: many young people do not consume alcohol. Fifty-five percent of middle and high school-aged students say that it is against their values to drink alcohol while they are adolescents. Helping kids steer clear of alcohol involves more than simply warning them of the dangers (though that is important as well). It involves getting at the heart of asset-building to help them feel safe, supported, and free to talk about anything on their minds. And it involves building a strong relationship with your kids early and nurturing their personal values and skills to help them make smart decisions. • Have a Plan — As your adolescent gains more independence, negotiate a plan for what you will do if he or she is in a difficult alcohol-related situation. Make safety a top priority. Make sure your youngster knows that you will provide a “no-questions-asked-until-later” ride home from any party at which they feel uncomfortable. • Keep Your Youngster Involved — Being active in youth clubs, school activities, religious activities and other caring environments with adult role models offers important reinforcements for your positive messages at home. • Monitor — Keep track of where your adolescents go and who they are with. If they go to a party, check in advance whether an adult will be actively present and whether alcohol will be available. • Set Consequences — Be clear about any consequences of underage drinking before there is a problem. However, do not make the consequences so serious that your teen will not ask for help if they are in serious trouble or need a safe ride home. • Be Honest — Be honest about your own alcohol use. If you drank as an adolescent, share why you believe it was a poor choice. • Be Proactive — Do not just wait for your kids to bring up alcohol or drinking. Use news stories, ads, personal incidents, and other opportunities to raise the issue—before it becomes a crisis. • Share What You Believe — Be clear about your values and expectations regarding alcohol use and why you hold those values and expectations. • Talk — Maintain open and honest communication. Help your kids feel comfortable talking with you about important and difficult topics. • Connect — Talk with other moms & dads about your values and concerns. Discuss what you expect from your kids and encourage them to set boundaries with your kids when needed. If you are struggling with issues, ask them for advice and support. • Do Not Be Part of the Problem — Never purchase alcohol for young people or provide alcohol to a party for adolescents, no matter what the occasion. • Maintain Perspective — If your kids try alcohol, address the issue directly, but do not assume that they are “beyond hope.” Use it as an opportunity to help them learn from mistakes. However, if the problems persist or become more serious, seek professional support and help. • Model — Model restraint in your own life. If you drink, use moderation. If you or your partner struggles with alcohol use, seek professional help. • Teach — Help your kids develop skills to resist pressure to use alcohol. Do this by giving them opportunities to make decisions and be responsible, starting when they are very young. Role play with your youngster to teach them how they can say no along with other options they have when they’re under pressure.